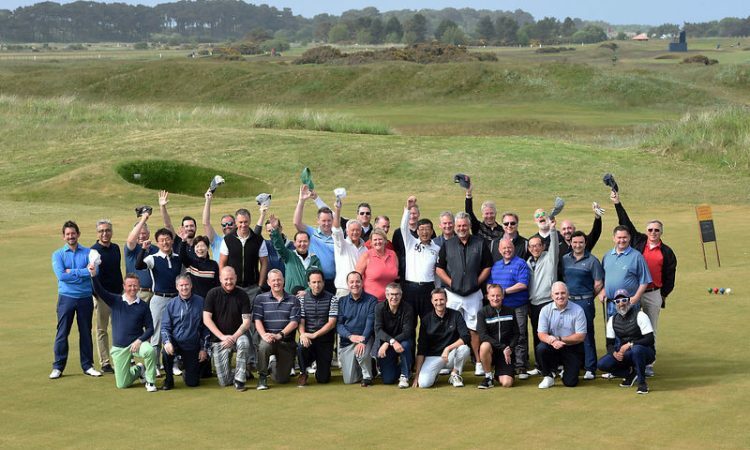 On a beautiful sunny day in June we (in partnership with The R&A) hosted an intimate golf tournament for NTT DATA at Carnoustie Golf Links (venue for the 2018 ‘Open’ Championship). x44 ‘VIP’ guests from around the world were joined by golfing legend, Darren Clarke (2011 ‘Open’ Champion), for an exclusive golf masterclass. Each group got to play with Darren, who then hosted the evening’s awards-dinner, prize-giving, and Q&A, in an relaxed and fun environment.